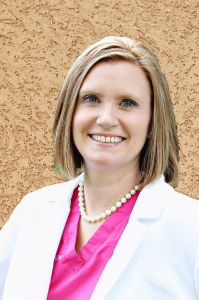 Bio: Joni Roberts is a women’s health nurse practitioner with a specialty in nurse midwifery. Mrs. Roberts received her BSN from The University of Iowa in Iowa City and her master’s degree with a specialty in nurse midwifery from Emory University in Atlanta, Georgia. Joni is honored that women allow her to be a part of their pregnancies and deliveries. She strives to make their experiences in childbirth everything they hope and plan for.